Ok, so I went totally crazy last month over Easter weekend. With 4 days off and waaay too much fresh yeast sitting in the fridge, I couldn’t have just made Hot Cross Buns, could I? No, that wouldn’t be like me! How about making another kind of bread…and another…? I ended up also making Brioche and Hokkaido Milk Bread. Yup, three kinds of bread in one long weekend, and all made by hand…Talk about a breadmaking marathon! My kitchen smelled heavenly! These were breads that I’d been wanting to make for ages, so it felt great to be able to check all three off my “to bake” list. I gave some of it away, and stuck some in the freezer – but not before enjoying some (well, more like A LOT) of it myself. But seriously, who can resist freshly baked bread slathered with butter?! 1) Warm the milk in a small saucepan until it reaches 37°C/99°F (blood temperature), then remove from the heat, add the yeast and stir or whisk until dissolved. Cover with cling film and leave to stand for about 10 minutes, until a light frothy foam forms on the surface. 2) Sift the flour and salt into the bowl of an electric stand mixer fitted with the dough hook, then stir in the sugar. Turn the mixer on to run at a slow speed, then gradually add the warm yeast mixture, mixing to form a dough. Knead the dough on a slow speed for 5 minutes. 3) Add 4 of the egg yolks, one at a time, mixing well after each addition. 4) With the mixer still running on a slow speed, gradually add the butter pieces, mixing until they are all incorporated, then continue kneading the dough for a further 2 minutes. 5) Grease a large mixing bowl and set aside. Turn the dough out onto a lightly floured work surface, then knead until it becomes smooth and silky, about 4–5 minutes. Shape it into a ball and place in the greased bowl. Cover with a clean dry tea towel or cling film and leave to rise in a warm place until doubled in size. The rising time will depend on the room temperature and can take up to about 40 minutes. 6) Meanwhile, prepare the baking tins. Grease two 18 x 9 x 5cm (7″ x 3.5″ x 2″) loaf tins, lightly dust them with flour, then set aside. 7) Once the dough is ready, turn it out onto a lightly floured work surface, knock it back gently (remember you don’t want to lose all the air you have incorporated into the dough during rising, so be gentle), then cut the dough in half. 8) Divide each portion of dough into 10 even pieces and roll each piece into a smooth ball. For each loaf, place 10 balls of dough into a prepared loaf tin, arranging them in a single layer over the base of the tin. Lightly cover the loaves with a clean dry tea towel or cling film and leave to rise again (prove) in a warm place for about 30 minutes or until doubled in size. Meanwhile, preheat the oven to 180°C/350°F. 9) Put the remaining egg yolk in a small bowl and break it up gently with a fork. Once the brioche loaves are ready to bake, gently brush the top of each one with the egg yolk. 10) Bake the loaves in the oven for 30–35 minutes or until risen and deep golden brown (once they are cooked, the loaves will sound hollow when turned out and tapped underneath). 11) Remove from the oven and cool in the tins for a few minutes, then turn the loaves out onto a wire rack and leave to cool completely before slicing. 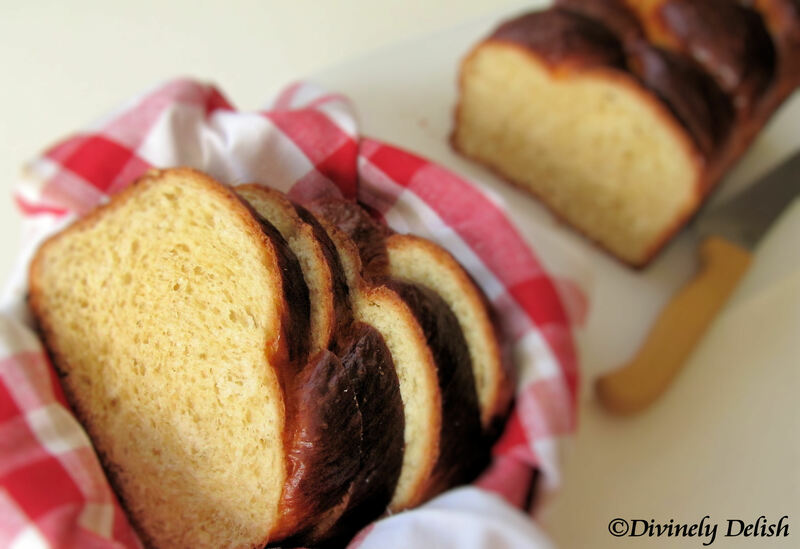 This brioche is best eaten on the day it is made. 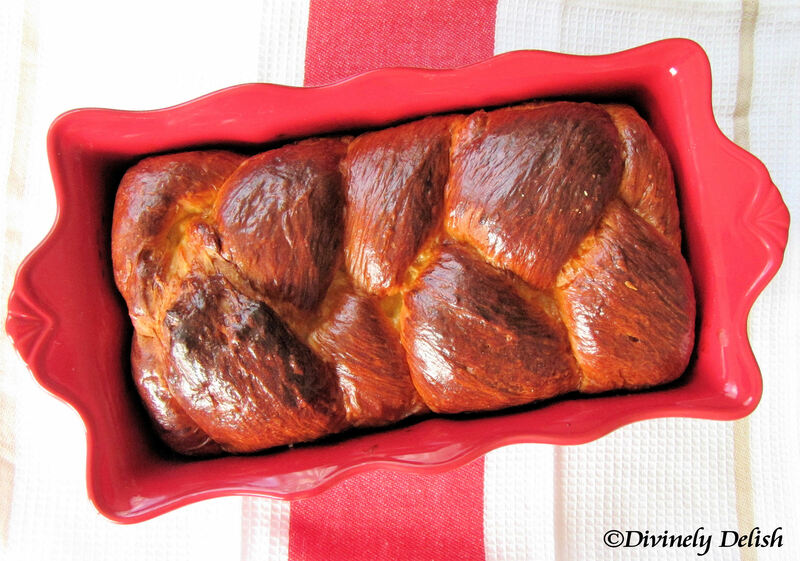 Store any leftover brioche in an airtight container and use within a day or two. If the leftover brioche is beginning to go stale, toast it or use it to make a brioche and butter pudding (a delicious twist on bread and butter pudding) or french toast. 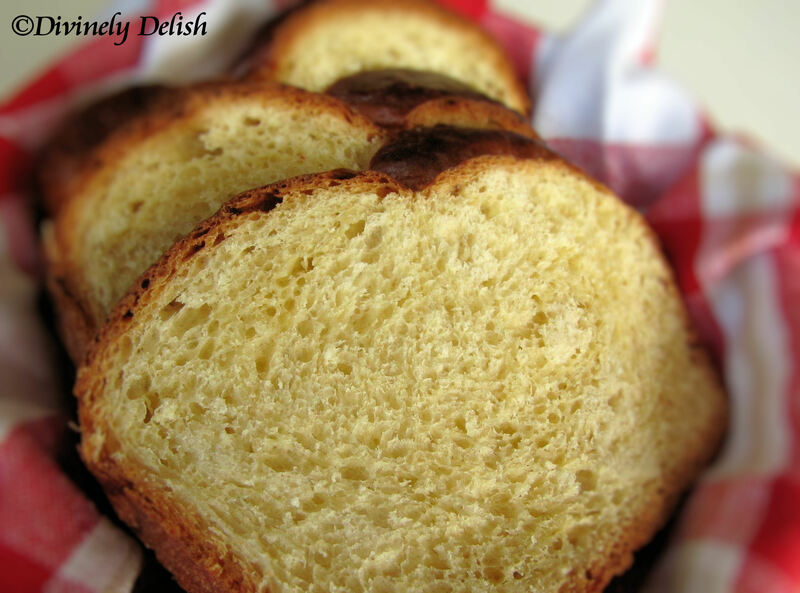 Brioche is also suitable for freezing for up to 1 month. Freeze on the same day as baking. Slice the brioche once it has cooled, then seal the slices in freezer bags. As and when needed, remove the brioche slices from the freezer and toast from frozen or let the brioche defrost at room temperature before eating – this way you can enjoy fresh brioche anytime! Looks good! Will have to bookmark this recipe for later. Been wanting to make my own brioche so I can use them for french toast. Thanks for sharing!